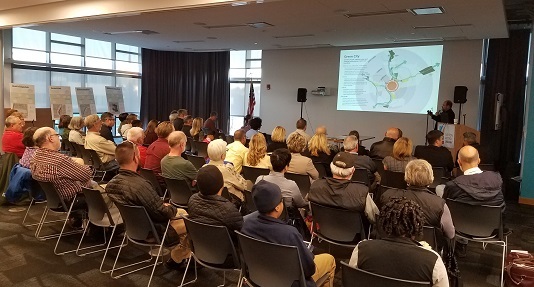 More than 150 people attended the public meetings last week and provided their feedback during the unveiling of the initial proposals of the Dayton Riverfront Plan. Project consultants, Sasaki, presented two options for the master plan frame work, both of which were met with great enthusiasm from the public. Comments from the public, stakeholders and the project partners provided important insight. Additional feedback is welcome and can be provide through an online survey through Nov. 14. Wolf Creek Corridor, to the west, was identified as a Community Corridor with a strategy of investing in catalyst sites and neighborhood infill to strengthen connectivity and economic development. Stillwater River Corridor, to the north, was identified as a Culture Corridor with a strategy of connecting to anchor cultural institutions along the riverfront and providing new cultural resources for the unique needs of surrounding communities. 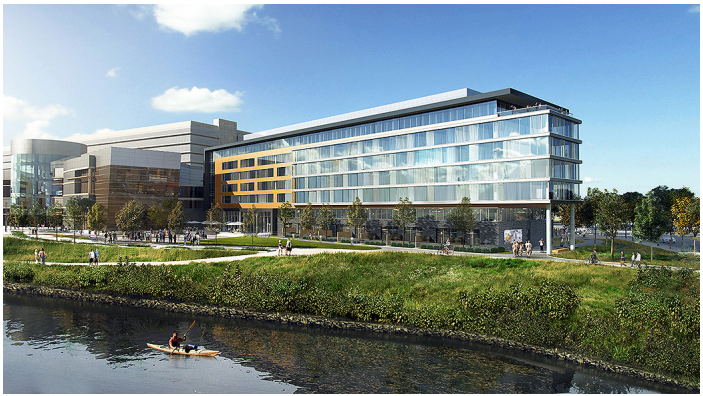 Mad River Corridor, to the east, was identified as a Technology Corridor with a strategy of supporting industry expansion and taking advantage of the riverfront to create attractive amenities. Great Miami River Corridor, to the south, was identified as a Education Corridor with a strategy of creating a sense of place along and within the corridor that that connects campuses and to create shared amenities. The downtown core was identified as a Create Center where all of the corridors bring their live, work, play and learn dimensions together to create a vibrant regional hub. The downtown core, Create, Collaborate, Converge!, would focus on restaurants and retail activation and introduce art and interpretive opportunities within the core. The first ring, Arrive, would celebrate major entrances and enhance walkability and access in downtown neighborhoods to spur revitalization. 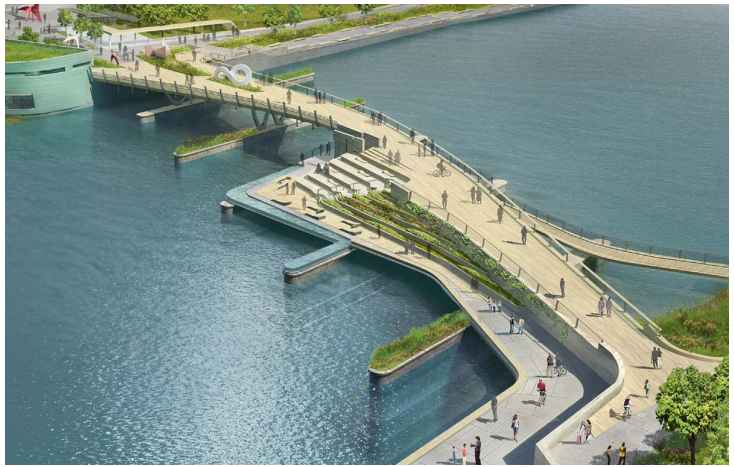 The second ring, Thrive, would emphasize continuity and a single riverfront brand among the open spaces and development opportunities. 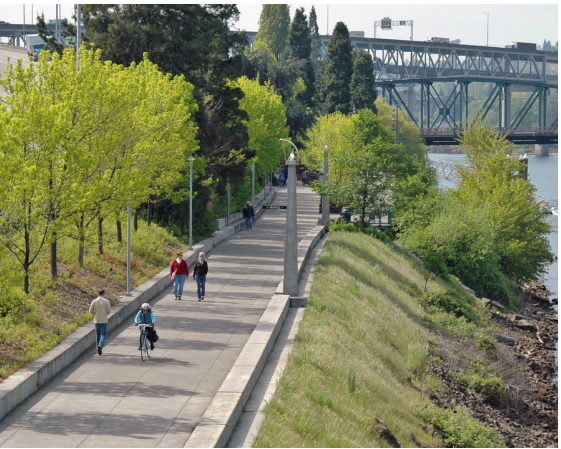 The third ring, Discover, would enhance the various means that the city interacts with the river through parkways, trails, paths, and stream corridors to regional and neighborhood open space assets. It won’t be necessary to choose one framework over the other. Certainly elements of both will be incorporated into the final plan. The public who reviewed the plans found both frameworks intriguing and had many comments to offer. If you didn’t get a chance to attend a public meeting, there is still chance to review the presentations where the framework alternatives are explained in more detail and provide your feedback by filling out a short survey online. Fill out the survey before Nov. 14 to provide input that will help Sasaki craft the final Dayton Riverfront Plan.